The basement project started with a totally unfinished basement. We are talking cement walls and floors!! So, first step was to frame the exterior walls and soffits. I am not so good at framing. 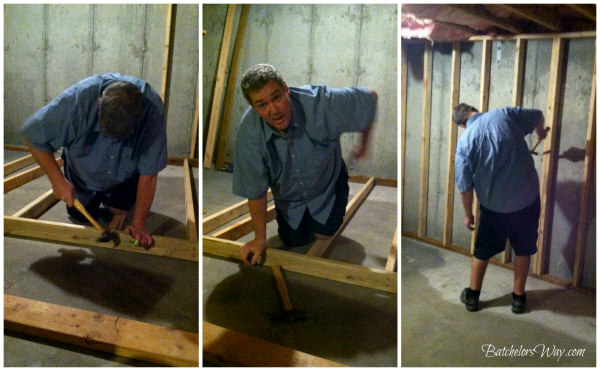 Les is great at it and I think he secretly likes it, so he pretty much did all of the framing!! After all the walls were framed we worked on the electrical for what seems like forever!! All the regular wiring, plus we ran so many wires for the surround sound and for future possibilities. Finally we were able to install the insulation!! I know this was a short post, but I will be back to talk about the built ins and the fireplace adventure! !